Epigenetics, refers not just to genetic code, but also to the way that diet, toxins and other forces can change which genes get activated, or "expressed." This can play a crucial role in everything from cancer to heart disease and other health issues. Sulforaphane was identified years ago as one of the most critical compounds that provide much of the nutritional health benefits in cruciferous vegetables, and scientists also knew that a mechanism involved was histone deacetylases, (HDACs.) This family of enzymes can interfere with the normal function of genes that suppress tumors. HDAC inhibitors, such as sulforaphane, can restore proper balance and help prevent the development of cancer. This is one of the most important areas of much cancer research. But the new OSU studies have found a second epigenetic mechanism, DNA methylation, which plays a similar role. to maintain proper cell function," said research scientists from the Linus Pauling Institute and the OSU College of Public Health and Human Sciences. This one-two punch, is important to cell function and the control of cell division, which, when disrupted, is a hallmark of cancer. one thing that has gone wrong," leading researchers said. "It's increasingly clear that sulforaphane is a real multi-tasker. The more we find out about it, the more benefits it appears to have." DNA methylation is a normal process of turning off genes, and it helps control what DNA material gets read as part of genetic communication within cells. In cancer that process gets mixed up. According to researchers, these same disrupted processes appear to play a role in other neuro-degenerative diseases, including cardiovascular disease, immune function, neuro-degenerative disease and even aging. This research, which was published in the journal Clinical Epigenetics primarily studied the effect on prostate cancer cells. But the same processes are probably relevant to many other cancers as well, researchers said, including colon and breast cancer. "With these processes, the key is balance," the experts said. "DNA methylation is a natural process, and when properly controlled is helpful. But when the balance gets mixed up it can cause havoc, and that's where some of these critical nutrients are involved. They help restore the balance." is particularly abundant in other cruciferous vegetables such as cauliflower and kale. Both laboratory and clinical studies have shown that higher intake of cruciferous vegetables can aid in cancer prevention. Oregon State University (2012, February 28). 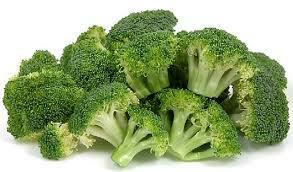 Eat your broccoli: Another mechanism discovered by which sulforaphane prevents cancer.